Read an overview of the Human Services portfolio including details of key activities, expenses and staffing levels. The audit focus section outlines the influences on the ANAO’s allocation of financial audit resources and the selection of performance audit topics and other activities. Also included is a list of material entities within the portfolio with their corresponding risk profile and key risks. Any risks that are considered key audit matters (KAMs) by the ANAO are separately identified. The audit would examine the effectiveness of the Department of Human Services’ data-matching arrangements with other entities. Data matching is used to detect potential overpayments to Human Services’ customers by identifying where information held by the department differs from that held by external sources such as the Australian Taxation Office and the Department of Health. An audit would consider the arrangements established between Human Services and other entities, including around the security of data provided to Human Services. The audit could also examine the extent to which Human Services has considered efficiency in developing data-matching arrangements. This audit would examine the Department of Human Services’ management and delivery of programs, services and payments on behalf of other Australian Government entities, as well as the department’s performance against its respective obligations and service standards. 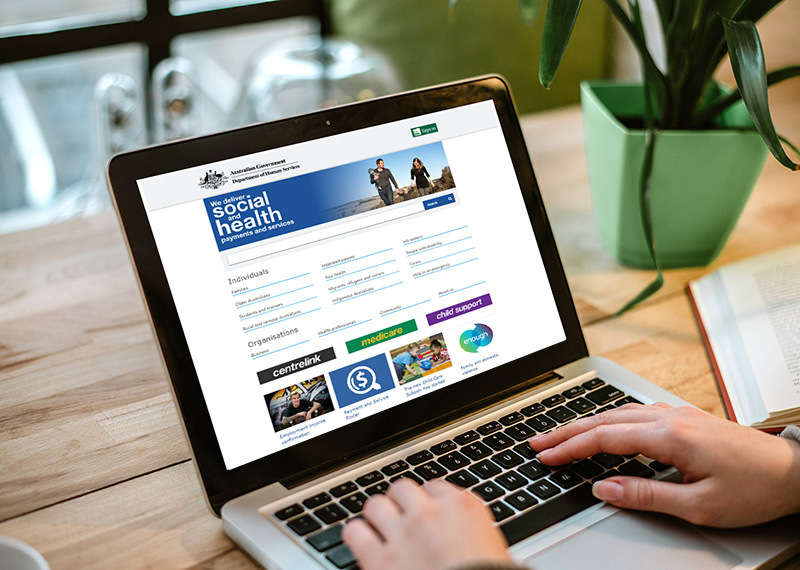 Human Services provides a range of programs, services and payments for, and on behalf of, a number of Australian Government entities, such as income support payments for the Department of Social Services, and aged care payments and the maintenance of various health-related registers for the Department of Health. Arrangements for these services and payments are outlined in various memorandums of understanding and business partnership agreements. In the 2017–18 Budget, Human Services estimated that it would process around $175 billion in payments on behalf of other government entities. The proposed audit would provide assurance that business agreements support Human Services in meeting the expectations of entities on behalf of whom it delivers payments; and that roles, responsibilities and performance reporting arrangements are clearly defined. This audit, which will be the first in a proposed series of audits, would examine aspects of the Department of Human Services’ management and coordination of the planned program of large, complex information and communications technology (ICT) projects to overhaul welfare payment systems in Australia. Over coming years, the Department of Human Services will undertake a major redesign of welfare payment systems, with this work to be underpinned by a SAP platform implementation. The resulting significant, multi-year program will replace a number of ageing ICT systems and provide an integrated user interface for customers and departmental staff. The program represents a significant investment of public resources and has the potential to enhance efficiency of welfare payment systems and improve the experience of those members of the community who interact with government. The audit would examine whether the Department of Human Services has effective arrangements to inform the development and modification of programs that it subsequently delivers on behalf of other entities. The Department of Human Services delivers a range of services and payments on behalf of other government entities. This audit would provide assurance that the department has established effective arrangements that inform the program design process with lessons learned from its delivery of services. The audit would also examine the role of the department’s Chief Citizen Experience Officer in supporting user-centred design.